Mexican candies aren't exactly candy, but they are sweet and delicious. 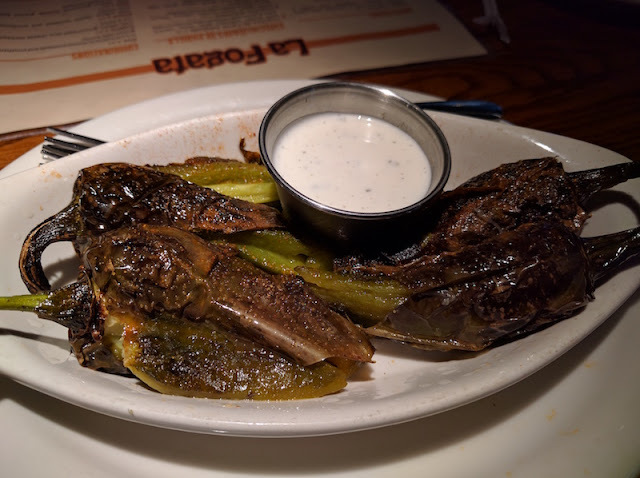 They are seasoned jalapeno peppers which are roasted over a flame, and served with ranch dressing. These are an excellent appetizer. They are a little spicy, but not too much. And of course there is a full menu as well at La Fogata. 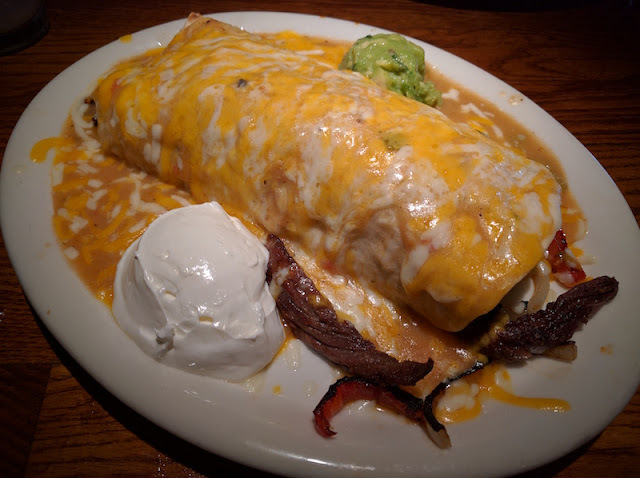 My daughter had the taco salad, and I had a beef steak burrito. Both were excellent. 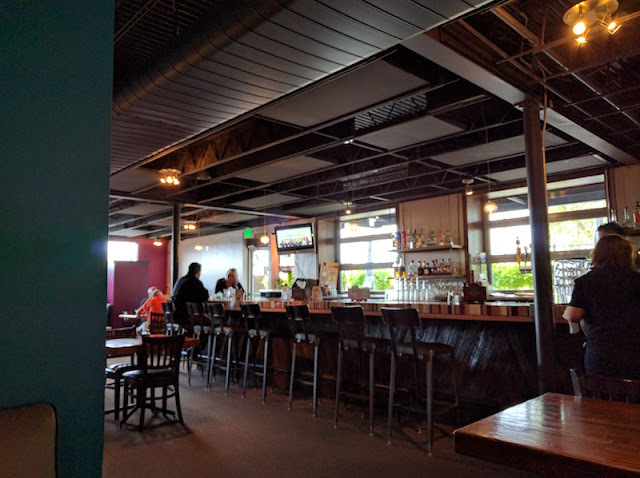 It's a big place, with a lively bar and full of locals. Great food in a great location makes for a great dinner! We discovered La Fogata in the foodie book which I always keep in my car -- Roadfood by Jane and Michael Stern. Get your copy, stick it in your car, and don't miss another great place to eat while driving around the country! 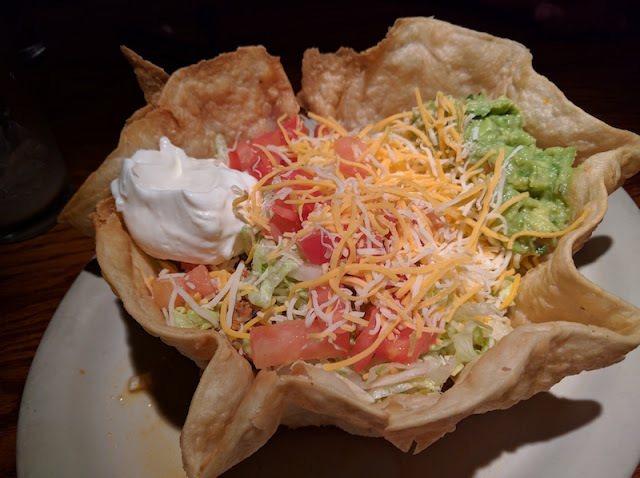 Check out La Fogata's menu and hours at their web site.